"Repentance is no fun at all," observes Lewis (Mere Christianity). Amen. It's like praying the third petition of the Lord's Prayer - Thy will be done. Every time you pray it you're praying against yourself. Repentance works the same way. "Killing a part of yourself, undergoing a kind of death," says Lewis. This is what Luther calls the daily drowning of your old Adam in your Baptism. Although the cross of Christ is the most important one during Lent, he also places his cross on those who follow him. We need to hear Nathan's pronouncement: "You are the man." Fun? No, not really. But that's what we need. It's a bit like cleaning your house or your garage. It's no fun. No one really wants to do it; but once it's done you're glad you did it. It's cathartic. Confession and Absolution (among the other means of grace) is the workshop of the Holy Spirit. Through repentance and forgiveness of sins you are cleansed - not every spring when the dust gathers - but daily. 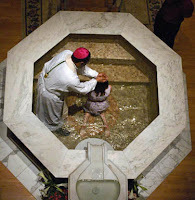 Confession and Absolution...the catharsis of the Holy Spirit. For as much as you need repentance, you need forgiveness even more. This is God's love for you in Lent (and all year round). God's love in working repentance in you. God's love for you all the more in the forgiveness of sins. Oh wondrous Love, what have you done! The Father offers up His Son (Paul Gerhardt, LSB 438). 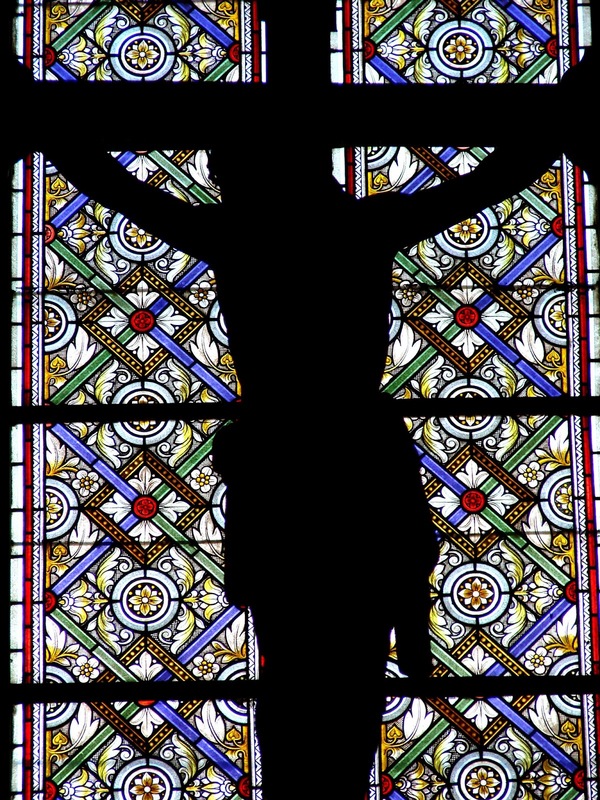 Just like Lent, through repentance and forgiveness - Confession and Absolution - Christ brings us through death to life by His own life and death and resurrection. And as much as the angels in heaven delight in repentant sinners, how much more then, does our heavenly Father rejoice in welcoming forgiven sinners back into his arms. For it was the delight and joy of the Son to reconcile the world to the Father through his blood shed on the cross. Yes, there is joy in heaven over repentance but there is even greater joy in the forgiveness of sins. The following article is forthcoming in the Redeemer Reflections, the monthly newsletter of Redeemer Lutheran, Huntington Beach. Please keep the chapel at UCLA and ULCMN and all campus ministries in your prayers and financial support during these difficult times. Lutherans have been on college campuses since 1517, active in Word and Sacrament ministry from the early days of the Reformation. Today, the doctrine rediscovered by Luther and the reformers – that man is justified freely by God’s grace through faith for Christ’s sake by his cross – continues to be proclaimed on college campuses. From Wittenberg to Westwood (UCLA) and throughout the world, the Church continues to declare and defend the Gospel for students, professors and communities in need. In recent months a growing, and disturbing trend, has begun in the Lutheran Church Missouri Synod (LCMS). The strong bridgehead our church once had onto secular campuses has begun to wane as of late. 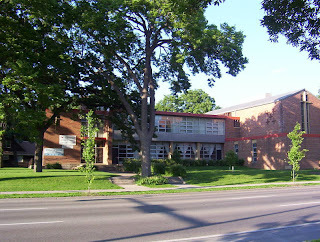 With the impending and increasing threat of financial debt and distress in district bureaucracies around the synod, many district leaders have turned to short-sighted property sales in exchange for financial relief, coming, tragically, at the expense of long standing, prominent (not to mention valuable and irreplaceable) campus ministry facilities. 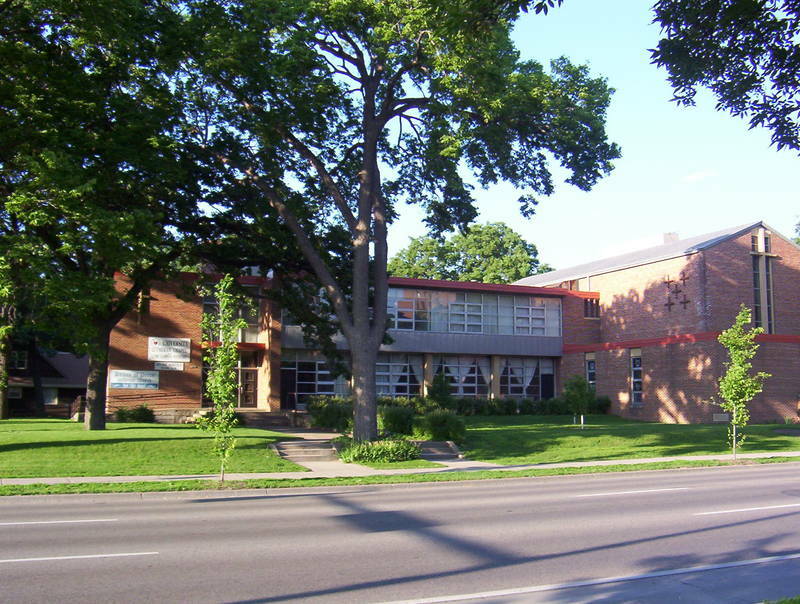 First, in mid 2011, the University Lutheran Chapel at the University of Minnesota (ULCMN) was given notice that their long-time, and thriving, campus facility was going to be sold out from under them by the Minnesota South District Board of Directors. Should the sale of this invaluable property proceed, in place of sacred space dedicated to the preaching and teaching of God’s Word, a luxury dormitory will be constructed. Apparently you can put a price on Word and Sacrament ministry: $3 million dollars to give a rough estimate. The ULCMN is home to a faithful congregation of more than fifty years, a congregation that has sent dozens of men to seminary not to mention their continued on-campus presence and outreach to a major secular university. Should it happen that this home for so many is destroyed, the wrecking ball cannot take away the Gospel from the ULCMN, her members or Christ’s Church. The gates of hell will not prevail against the Church, even when those gates are swung heavy at consecrated brick and mortar. And yet there is much we can do: we can pray that the property sale at ULCMN does not go through. We can pray that the MNS District would repent of their decision to sell this bastion of Good News. And we can support our campus ministries everywhere, from Minnesota to California both in prayerful and financial support. 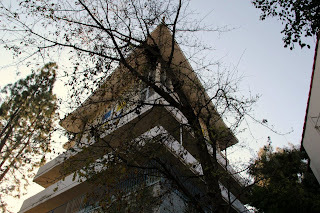 Second, on January 11th, 2012, the Pacific Southwest District Board of Directors voted to put up for potential sale all seventeen of the district’s properties currently owned. Of those seventeen properties considered for sale, are the only three campus ministry facilities the district owns: University of California - San Diego (UCSD), University of California - Los Angeles (UCLA), and Arizona State University – Phoenix (ASU). The decision to put these properties up for sale comes as a result of the staggering debt that the Pacific Southwest District has accrued of roughly $8 million dollars. While it is clear that some of the properties will have to be sold in an attempt to reduce the existing property debt, this must not be done at the expense of existing ministry, especially our precious (and rare) campus ministry facilities. All congregations of this district ought to be concerned not only about the potential sale of active and thriving campus ministries, but also the proper stewardship of the financial responsibilities entrusted to the care of leadership in the PSW District. 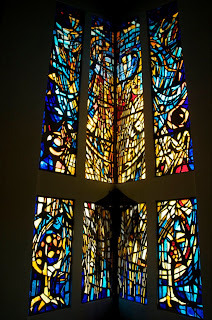 The chapel at UCLA has been particularly influential here at Redeemer. Pastor Mark Jasa has – and continues to be – a dear friend of Redeemer as we work together in the mutual labor of declaring and defending the Gospel, not only at UCLA but in Huntington Beach. This, in part, has been the purpose of the ongoing Declare and Defend series at Redeemer Lutheran, HB. Through Pastor Jasa’s lectures and seminars we are better equipped to share the Gospel in our own community and we, in turn, also have the opportunity to support the work of evangelism on campus at UCLA. This is the work of the Church at her best, working together in mutual care to teach the faithful and reach the lost, caring for all as we are given opportunities in our vocation. Now the chapel at UCLA is threatened with potential sale as well. This is cause for great concern. These brick and mortar congregations provide a physical outpost and hub for campus mission and ministry and a haven for college students facing an increasingly secular environment hostile to Christianity. UCLA is home to a congregation who serves their campus community, including a growing population of international students. 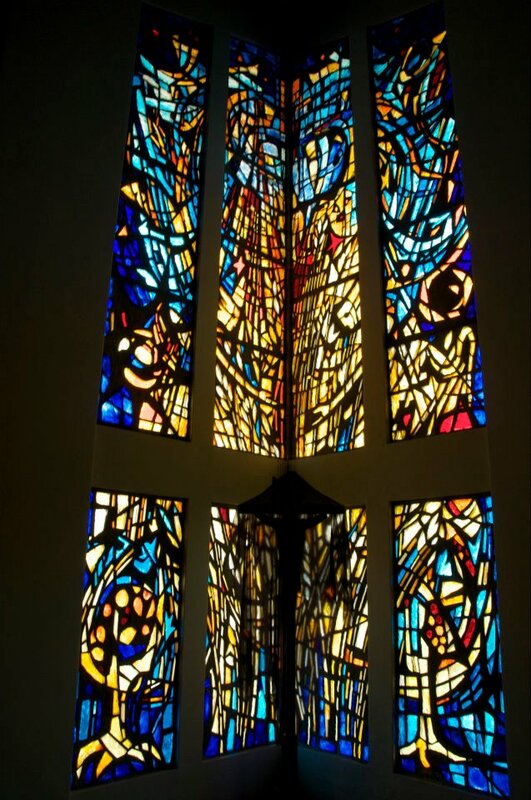 The sale of this chapel – and the ones at UCSD and ASU – would signal a significant retreat of Lutheran presence on campus, at a time when Word and Sacrament ministry are needed now more than ever. While it’s true that the Lord of heaven and earth cannot be contained in a house built by human hands, it is also true (and thankfully for our sakes) that the Lord of heaven and earth came and took on human hands and built himself a house of human flesh. The Word became flesh and tabernacled among us, John 1:14 says. God is a god of physical location. He loves being with his people. And he promises to locate himself specifically to bless his people (Exodus 20:24). Physical presence in the community has always been a priority – indeed, an essential and vital part – of ministering to the local community. No wonder God locates himself for us in specific places: font, altar, pulpit and lectern. These physical locations are no less important on college campuses. In fact, I would argue, they are just as important, if not more so, given the needs and demands of campus ministry in our culture and at secular universities. Now we are in peril of losing ground in mission work for the sake of reducing debt. There is no doubt that the sale of these properties in such prime locations is irreversible and will greatly diminish our Lutheran presence on these college campuses. We as the Church can’t support campus ministry while at the same time defunding our campus ministries or selling their facilities. These campus properties were purchased and developed by the Pacific Southwest District with monies expressly set aside for the purpose of establishing a campus ministry and ought not to be set aside so quickly. How can you help? Locally, you can support the work of UCLA and Redeemer will have the opportunity to do so in the near future. This means both prayerfully and financially. If you, or someone you know, has benefited from campus ministry, give support. This call for support rings out to include any and all alumni of UCLA (or ULCMN for that matter), whether you attended the chapel or not. If you care about campus ministry, every dollar will help. And campus ministry is also going on in our backyard; Pastor Schuldheisz and Pastor Jasa send time locally here at Goldenwest College once a month. You are welcome to join them anytime. Watch the bulletin for announcements about upcoming events. We can also support campus ministry in our prayers as we pray for God’s faithfulness to continue to abide with the students, professors and communities our campus congregations serve. Also, pray that the Lord would work to change the decision of the Pacific Southwest District Board of Directors so that the chapels at UCLA, UCSD and ASU would not be sold. Make no mistake; there is a crisis in campus ministry in our Church today. But there is hope. The Lutheran Reformation that began on campus at Wittenberg with still goes on today. Today, that Good News continues to go out into the world at our campus ministry outposts. May God, the source of every good and perfect gift, grant us a full measure of wisdom as we pray for and work on behalf of the future of campus ministry in the LC-MS.
Ash Wednesday Sermon: "Lenten Treasure"
Vanity of vanities says Solomon. All is vanity. Meaningless. Empty. Chasing after the wind. What does man gain by all the toil at which he toils under the sun? Nothing. He who dies with the most toys still dies. Everything that you love, everything that is a treasure to you is going to end up the same way: dust, gone. All the books l love to read, all the sporting equipment you have, all the video games you or your children play, all the cell phones we use, our homes and all our possessions, all of the money we carry around or wish we carried around — it’s all going to be Dirt. Dust. That’s why Jesus says, “Do not lay up for yourselves treasures on earth, where moth and rust destroy and where thieves break in and steal.” Because that's how it all ends up. Ashes, ashes we all fall down. For everything there is a season and a time for everything under heaven. There is a time to laugh, a time to heal and dance and rejoice. A time to be born and a time to rise. And that time is coming soon. But for now we are in the season of Lent. Where there is a time for mourning and weeping, a time for being broken and repentant. A time for sack cloth and ashes. A time to die. Rend your hearts, not your garments. For the sacrifices of God are a broken and a contrite Spirit. 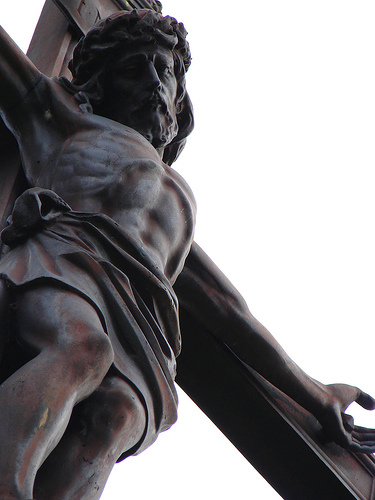 You see, Lent really isn’t about giving up stuff –whatever it may be. Nor is it about self-improvement. You don’t need the season of Lent as an excuse to eat less chocolate, exercise more often be nicer to people or get better gas mileage. If that’s all Lent is about you don’t need Jesus. But if it’s sin you have, then it’s Lent you need. You need Lent because your sin is far worse than you think: that’s what that symbol of ashes and death on your forehead reminds you about. But as good a reminder as the ashen cross is…You need more than a symbolic gesture to save you because you don’t have symbolic sins. You have real sin. We are real sinners. Our old Adam is a professional hoarder. Hell bent a treasure hunt that leads only to death. The season of Lent comes to strip all of that away and pour ashes on all your idols. To lay you bare before the cross in repentance so you are clothed in Christ. Remove your treasure trove of self-made deities – all those trophies in your personal hall of fame that show exactly how much you fear, love and trust in anything except God. Lent calls you to Solomon’s confession: “vanity of vanities…all that I have and all that I am apart from Christ is vanity.” Meaningless. Dust. Dirt. Dead. All those particular sins are only symptoms of the disease. We sin because we are sinners. A corrupt tree brings forth corrupt fruit. Its fault lies not in its being a tree but in its being corrupt. What’s wrong with us is not that we are human but that we have gone wrong, we are sinners. You are part of Adam’s family tree. Corrupt and dead as the root from where you sprouted. Lent reminds us that the worm wins every time. Well, almost every time. Moth consumed the cloaks that Jesus wore in mockery. Rust destroyed the spear that pierced his flesh. But there is one treasure in heaven and earth that the moth and rust cannot destroy. There is one treasure that cannot be stolen away from you by any thief, even the devil himself. There is one treasure that the dirt and dust of the grave could not hold down. The Last Enemy has been destroyed. The victory goes to Jesus and from Jesus to you. And where his treasure is, there is heart shall be also. You are his great treasure. And so there is a time for repentance. Not one Wednesday out of the year, but every day the Lord gives you. Daily dying, daily rising. 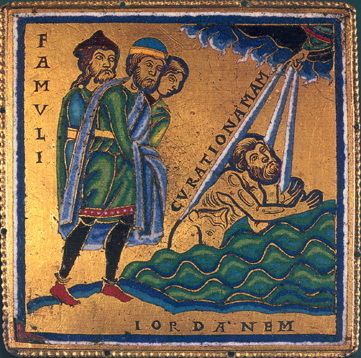 Adam must die, Christ must rise. Return to the Lord your God. He has come to you. God is gracious and merciful, slow to anger, and abounding in steadfast love. He will not pronounce a death sentence over your head, deserved though it would be. Jesus has heard and taken upon Himself. You have a life sentence pronounced over you. Forgiven, washed, justified, sanctified, holy. What Adam has done, Christ has undone and more. Lent is also a time for forgiveness. Absolution. This is why our midweek services and guest pastors will focus our thoughts and meditation on Confession and Absolution as the double-edged sword of God’s Word comes to pierce our hardened hearts with repentance and to bind us together in Christ’s absolution. This Lenten season you’ll hear about the Office of the Keys, our need for confession and absolution, the sure and certain declaration that comes in the absolution both publicly and privately. 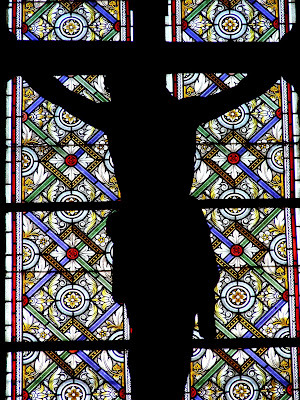 Confession and absolution is God’s gift to you His people. Are you looking for a sign of mourning over your sin? 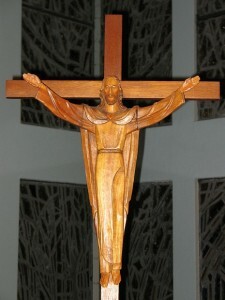 Don’t look to your foreheads but to a better cross – the cross of Jesus. There you will see the grief and suffering your Sin caused the Son of God. Do you want a sign of your life and forgiveness? Trace the sign of that cross, upon your forehead and upon your heart, where God Himself marked you in Baptism as one redeemed by Christ the crucified. 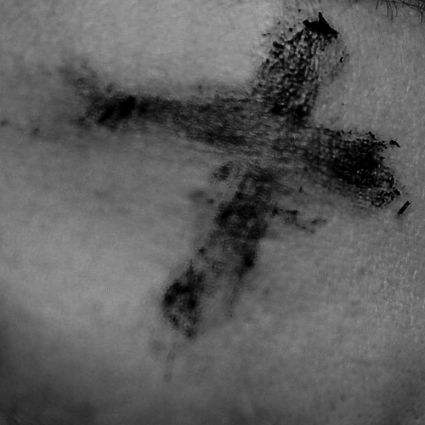 For there are two crosses on your forehead today: a cross of ash. 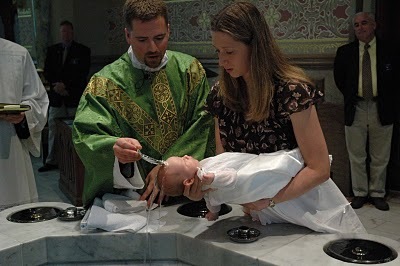 And the cross of your Baptism. One a symbol of your death. The other the reality of your life in Christ. That’s the best sign of the cross you could possibly remember. Not your ashes. They’re paid for, washed away in your Baptism just like your sin. Jesus didn’t come to impose ashes on your forehead. He came to bear all your sin and death on his, in his own body. Jesus did not come to give you a death sentence, but to take yours upon Himself. Lent reminds us that your dust has become Jesus’ dust. Your dirt and filthy sin has become Jesus’. Jesus Crucified is your greatest treasure. While the ashes are a symbol that points you to Jesus; they’re still a symbol. Thankfully when it comes to your salvation, Jesus doesn’t use symbols. He gives you real sacraments and real forgiveness for your real sin. God actually gives the very thing he promises to you. Baptism isn’t a symbol of rebirth – it is your rebirth in Christ. The Lord’s Supper isn’t a symbolic gesture of Jesus’ forgiveness, it actually is His forgiveness. The Absolution isn’t a symbol of God’s promise; it actually is His promise declared to you: “I forgive you all your sin.” All of it – gone, buried in the dust and dirt of Christ’s tomb. All your vanity all your meaninglessness is washed away more easily than you’ll wash those ashes off your forehead tonight. Down the font they go. So it's OK if you want to give something up for Lent. But do it for the right reason: do it because you're reminding yourself that such a thing is not your true treasure, that it won't last forever. And it’s OK to receive the ashes or not. Either way you are Baptized and forgiven in Christ. Your sin has been washed away. And his cross over you is the only one that really matters. But more than all that giving up stuff, the real way to celebrate Lent is to have more Jesus. More of the true treasure! More hearing His Word. More confessing your sins and being absolved. More eating and drinking of His body and blood. More study of His Word and prayer. For in these gifts Christ piles up for you more riches that you can even imagine! And where your treasure is this Lent, there will your heart be also. There are two ways, one of life and one of death; but a great difference between the two ways (Didache 1:1). Ash Wednesday's Gospel reading says it this way: “Do not lay up for yourselves treasures on earth, where moth and rust destroy and where thieves break in and steal, but lay up for yourselves treasures in heaven, where neither moth nor rust destroys and where thieves do not break in and steal. For where your treasure is, there your heart will be also" (Matthew 6). There is another two ways, one of life-giving treasure and one of death-bringing treasure. 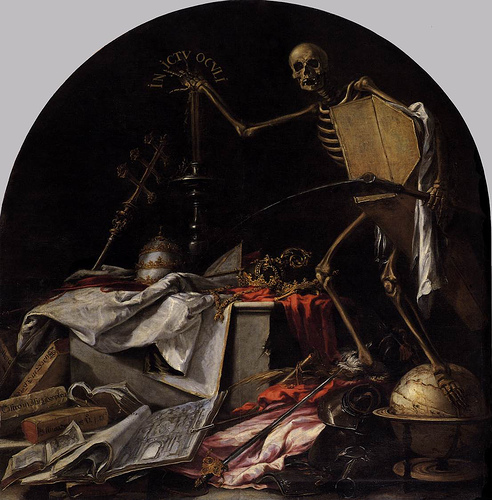 Death and life and treasure. Harry and Hermione discovered this, if not before that moment, perhaps a little bit more as they stood before Dumbledore's sister's headstone in Godric's Hollow. And even further still by the end of The Deathly Hallows. (A fitting name for the conclusion of the series if there ever was one). 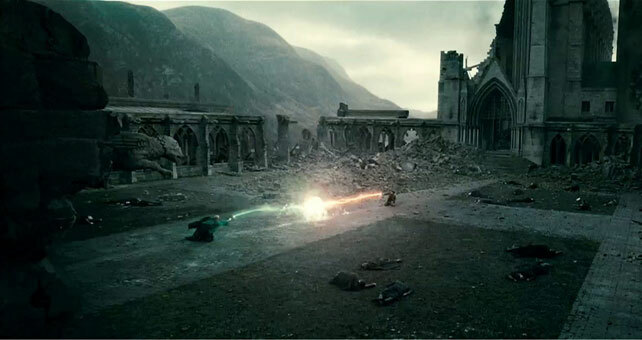 For there are also two ways in Harry Potter, one of life and one of death; but a great difference between the two ways. On the headstone they read a portion of Matthew 6: "Where your treasure is, there will your heart be also." Just what was Dumbledore's treasure? What could possibly have led the family to choose that epitaph for their daughter, Ariana? The answer, I think is found in the writing on another tombstone Harry and Hermione come across, that of Lily and James Potter. That's no coincidence. As one of Rowling's most notable influences once said, "There's no such thing as coincidences" (C.S. Lewis). 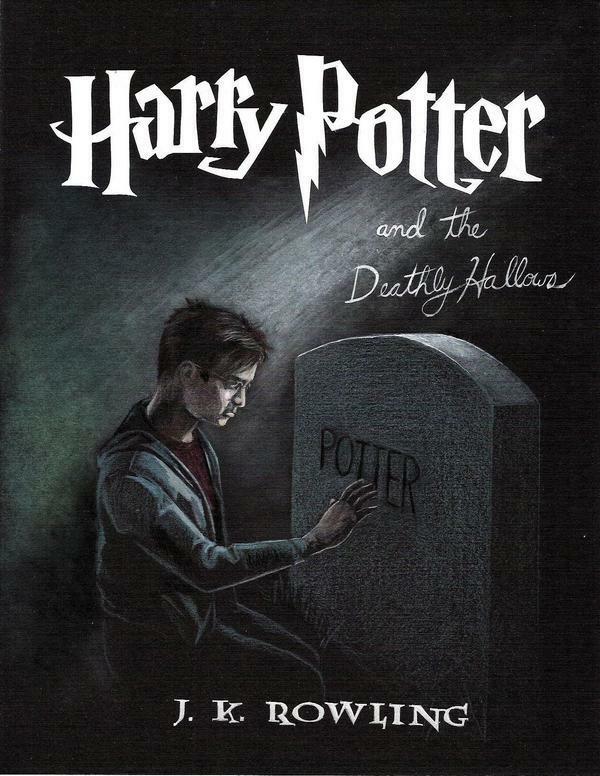 On many occasions Rowling herself has said that the entire Potter series is all about death and how the characters respond to and live in the face of it (and therefore by extension how the reader ought to face death as well). There are those who are afraid of death and thus seek to manipulate, rule and overpower others around them by means of control and rule of force. They live for themselves. These are the Death Eaters and Voldemort chief among them. And then there are those who, although struggling with the reality of death and the pain it brings them and their loved ones, look with hope to a life after death. Thus they live in sacrifice and love for others. This is where we find Harry Potter, Hermione and Dumbledore, who is second only perhaps to Professor Snape in living in hope of the resurrection. (If you've read the books, that's enough for you to get the point on that account; and if you haven't, well...you should). These are the two ways. This is where we find Harry and Hermione as they stand before his parent's headstone in Godric's Hollow. Hermione catechizes Harry, who will come to understand what she says later, much like the disciples after Jesus' resurrection from the dead. The last enemy that shall be destroyed is death...A horrible thought came to him, and with it a kind of panic. "Isn't that a Death Eater idea? Why is that there?" "It doesn't mean defeating death in the way the Death Eaters mean it, Harry," said Hermione, her voice gentle. It means...you know...living beyond death. Living after death." But his delight is in the words of Dumbledore, and on his instruction he meditates day and night. The Death Eaters are not so, but are like dementors that a patronus drives away. nor their followers in the congregation with the Order of the Phoenix; for the way of Dumbledore is life, but the way of Voldemort will perish. With Ash Wednesday around the corner, this too is our greatest treasure. Let the superscription be, Jesus Crucified for me. Death swallowed (eaten) up in victory by Christ. Moth would consume the cloaks that Jesus wore in mockery. Rust would destroy the spear that pierced his flesh. But neither could lay a hand on the Lord of life. Death would not the victor be of him who hung upon the tree. The grave met its match when Jesus laid in its dust. For us the word on Ash Wednesday is this: "Dust you are and to Dust you shall return." But that is not the final word for us. Jesus gives us his last word over the last enemy: "It is finished." Jesus rises from the dust. And He raises you from the dust and ash heap to sit at the feet of princes. 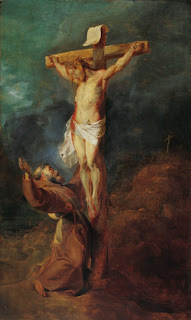 At his crucified feet, the Prince of Peace. For where your treasure is, there will your heart be also. A blessed Lenten-tide to you all. When you listen to an audio book your ear catches words and phrases (even the whole story) in a different outlook than when you sit down and read it yourself, either silently or even out loud with others. Many times it's like watching a movie over and over again, like my sister and Westside Story. I still know all the songs, by the way. 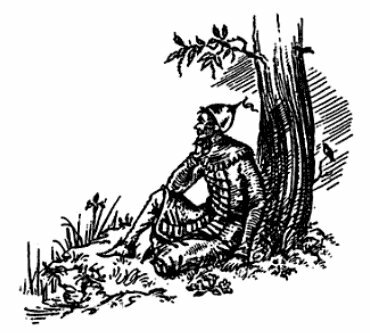 At any rate, I was listening to the audio version of The Silver Chair and once I got over the performer accenting a long vowel at the end of Aslan's name, I noticed something about another name that I had not noticed before. Perhaps it's mere coincidence. Perhaps it has nothing whatsoever to do with Lewis's choice of names or the narrative as it develops, especially in Dawn Treader. But here it is nonetheless. 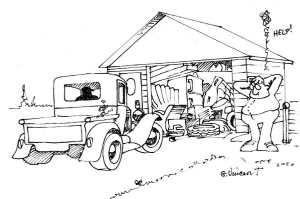 When Eustace Scrubb's first name was called out by Jill Pole several times, "Eustace! 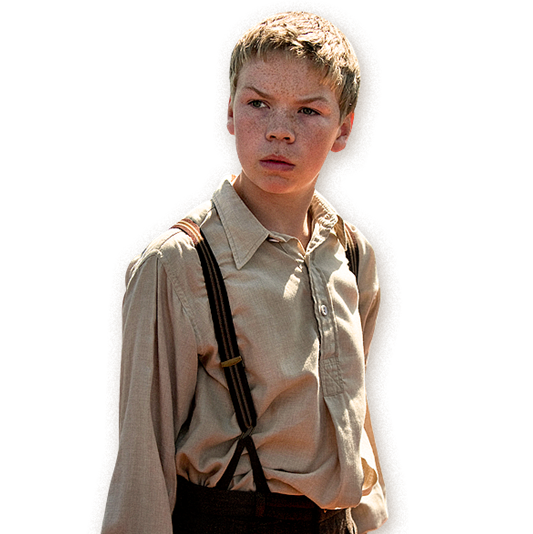 Eustace. Eustace!" I heard the letters bubble up in my head, albeit spelled a different way: Justus. For those of you don't sprechen sie Latin, that's Justus, as in Justified, as in Justification. Although it can also be pronounced: "You-stus" with the "y" sound (in Latin). In fact, in Latin it would be properly spelled with an "I," as in Iustus. Since there was no "J" in Latin. Moving on from grammatical nerd land. Once I heard Eustace's name pronounced in that manner, a great number of things came to mind. What if Lewis had intentionally named him that way? Could he have made that sort of philological trick on purpose knowing (at least as much as an author knows where the story is going while writing) where the story might take this snotty boy? Is there more to this than merely a name that fits the personality of this character? I think there is. Remember where he began the story. There once was a boy named Eustace Scrubb and he almost deserved the name. He was a rather arrogant and annoying sort of boy. The kind you'd like to wallop but rather not waste the time it would take, or the bruise it would yield your knuckles to box his ears. But, as it is in many cases, great arrogance is born of greater ignorance. Such was the case with Eustace. For he had not read the right books. And it showed. But Narnia has its way with people, one way or another. Either they reject it as a fool or they go from fool to favor. Eustace was an altogether different boy by the end of Dawn Treader, something even noted at the beginning of The Silver Chair. Something happened to him on that island in the Eastern seas. His outward nature finally reflected his inward reality; he became what he had been all along - a dragon. Until, that is, Aslan undressed him of his sinful skin, laid him naked into a baptismal pool and clothed him in new life. Clothed in Aslan, to paraphrase St. Paul. Yes, the Eustace from the beginning of Dawn Treader compared with the Eustace at the end, was quite a new boy (or rather, a new man). He had been "un-dragoned." He went from needing Iustus (Justification) to living in Iustus. He had been Eustified. Something only Aslan can do, as Eustace quickly found out. And that's really the way it is for all the children who come into Narnia, whether they are in the books or reading the books. Eustace is one of those identifiable characters - at first you hate him, even pity him a bit but almost can't help but laugh at his not-so-subtle sarcasm. A part cast very well in the recent movie by the way. But he's also one of those prototypical characters. There's a little bit of Eustace in all of us. Both the Eustace before and the Eustace after Aslan, after the un-dragoning. We are in need of being Eustified. We too need to be un-dragoned. 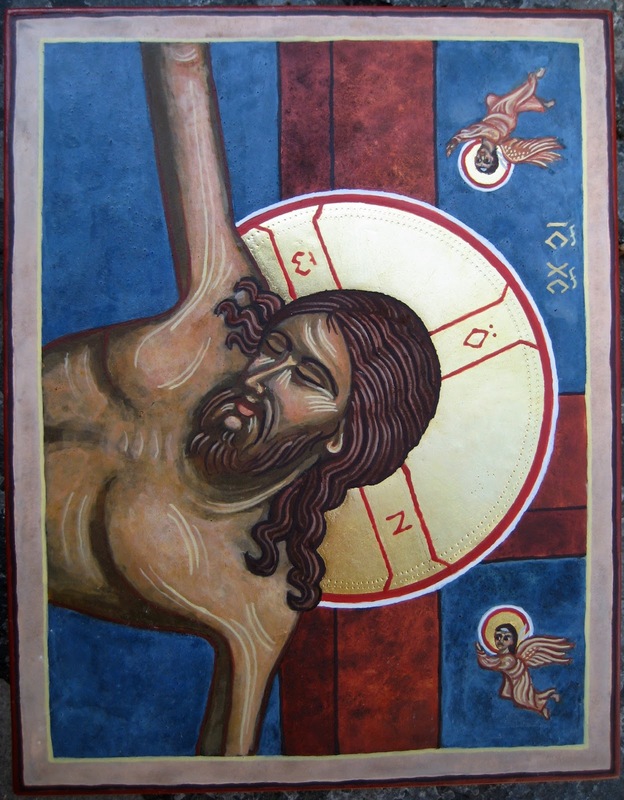 That's precisely what Baptism gives us: the justification won for us by Christ on the cross. And now we live "simul Eustace et peccator." Something happened to you in that water. Jesus happened. 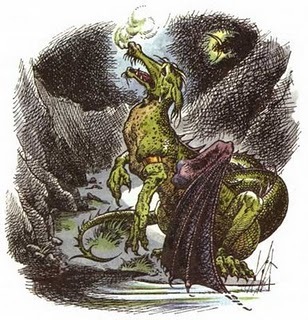 And something continues to happen in you each new day, call it the daily drowning of your old dragon (or your old Gollum to mix mythical metaphors!). As it was with Eustace, so it is for us too. Justified by the Great Lion himself, Judah's Lion. He roars and the devil flees. He paws and claws your dragon nature away from you. His breath gives life, even the Holy Spirit. Who lives ever pointing us to this Lion, who is also the Good Shepherd. The Shepherd who becomes the Lamb to lay down his life for his sheep. In Christ, the Lion and the Lamb are one, at peace - laid down together on the cross, laid in the tomb and inviting you to breakfast after the resurrection. In Christ all your dragons are slain, both now and forever. We too have been changed, from the former Eustace to the new Eustace, Iustus, Justus. Eustified in Christ. P.S. Thanks to Kaleb for suggesting the "simul Eustace et Peccator." The left branded the panel misogynistic. The right branded the panel supporters in the war against Obama. Neither was true. And neither side was really aware of the issue. As I've said before, and I must say again, this is not a blog for politics. Never has been. Never will be. 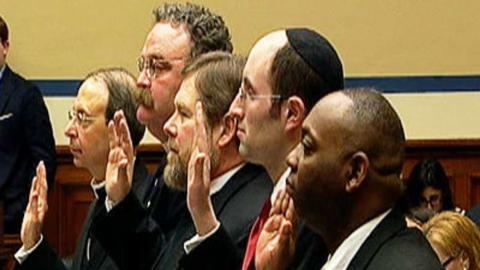 When it comes to talking about politics on this blog...I must echo the words of Pastor Harrison as he testified before the oversight committee, "I'd rather not be here." But every once in a while, the state steps into the church, or in this case the conscience. And we must speak in defense of religious liberty. Simply put, this is the issue: If there is no freedom of religion and no first amendment of the constitution, there is no Democrat or Republican. In fact, there is no more republic. Many in the media have called this collection of men a panel of pawns. But pawns are not allowed to declare or confess anything, they are simply moved and played according to the game-maker. While all the chess-players in the room (on both sides of the aisle) were busy making their moves, Pastor Harrison and the others on the panel played the real game with brilliant moves and words of wisdom. So move over Jimmy Stewart. 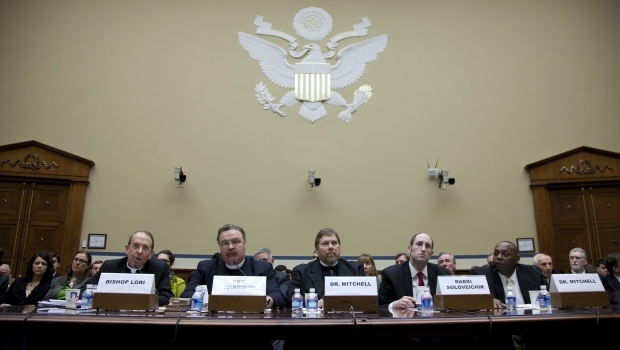 This is why the Lutherans came to Washington on February 16th, 2012. It wasn't about politics. It wasn't chiefly even about contraceptives. Thankfully, President Pastor Matthew Harrison understood the issue clearly, spoke the truth in love without sacrificing either. He would have made his doppelganger (Teddy Roosevelt) proud. Much has been written on the blogosphere and in the media these past few days. And more will be written in the days and years to come. As I turn my attention towards preparing a bible study for our congregation on the Two Kingdoms doctrine, I rejoice in Pastor Harrison's clear exposition and confession of many things, this important Biblical doctrine included. You can read the entire transcript of the testimony here. Or you can watch it here along with a few other press releases as of late, from the Lutheran Church Missouri Synod. So here's a few highlights of Pastor Harrison's testimony, including a few quotations to summarize my thoughts on this issue. The Two Realms: also known as the Two Kingdoms, or two estates (although Luther had three, but the point is the same). 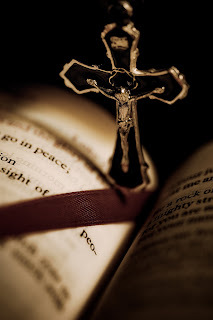 "We confess that there are two realms, the Church and the state. They shouldn't be mixed - the church is governed by the Word of God, the state by natural law and reason, the Constitution." In other words, the church is not out to Christianize the state and the state should not be out to bureaucratize the church. This was not only a brilliant exposition on Christian freedom in a secular country (albeit one founded on judeo-christian principles) but was also an excellent confession of the two realms. We are citizens in both. But both have their unique, God-given vocation. He quoted the Prophets, Isaiah to be specific: "The bed is too narrow, the sheets too short." A quotation from Isaiah 28:20. If you read the rest of the context of this passage in Isaiah and compare it to the context of Pastor Harrison's testimony, I think you'll find it quite revealing and insightful. 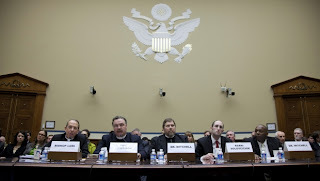 “Religious people determine what violates their consciences, not the federal government. The conscience is a sacred thing. Our church exists because of overzealous governments in northern Europe made decisions which trampled the religious convictions of our fore bearers. I have ancestors who served in the Revolutionary War. I have ancestors who were on the Lewis and Clark Expedition. I have ancestors who served in the War of 1812, who fought for the North in the Civil War – my 88 year old father-in-law has recounted to me, in tears many times, the horrors of the Battle of the Bulge. In fact, Bud Day, the most highly decorated veteran alive, is a member of the Lutheran Church – Missouri Synod. Thank you Pastor Harrison, for taking the time to speak the truth in love, to speak boldly on behalf of the LCMS, for carrying your well-worn Greek New Testament (and the truth it declares) with you to the Capitol. Many have said it, let it be said again. 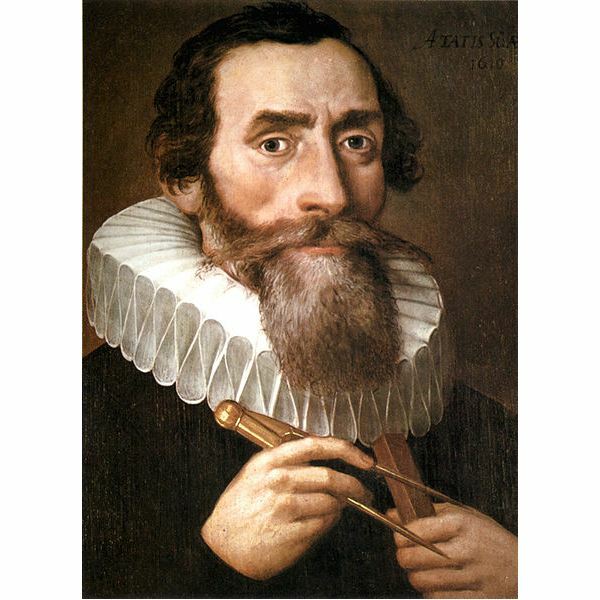 It was - and still is - a good day to be a Lutheran. 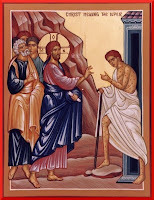 Epiphany 6 Sermon: "A Tale of Two Lepers"
Both, however, were helpless, in need of healing. Both were healed in rather unexpected ways. Naaman by God’s Word, spoken first by a little Hebrew girl, then through his prophet Elisha and finally in the water. That should sound familiar. A Word, a Promise and Water. 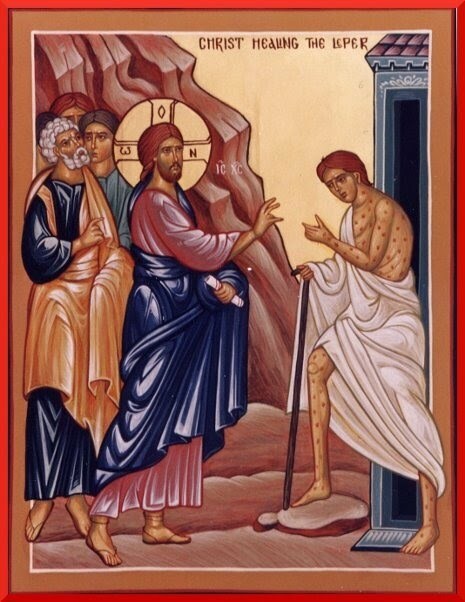 The Leper in Mark 1 was healed by that same Word and a touch from Jesus. Jesus touches the man, says a Word and all is done. When Jesus touches the unclean, something utterly remarkable happens. The unclean become clean. It’s that easy for Jesus. Both are remarkably joyous and wondrous miracles, but they are smaller ones. Jesus does them as easily as drawing breath. It’s almost like Jesus can’t help himself. He must heal. Just as He must cast out demons. He must feed the hungry. He must suffer, die and rise again. For the larger miracle is this: that the Lord of the world, and of the Law, should bother at all about someone so utterly worthless as a leper, cast out by the Law, that is what’s truly miraculous. And if you get that miracle, then you get the cross. That Jesus would look upon someone so utterly worthless as a you and me, a sinner, an outcast and would save us by dying in our place. And so there’s a double danger for us in this miracle. On the one hand to think somehow that this is all Jesus came to do, set up a clinic, put a band-aid on sin and disease, be a good moral teacher and he’s off to the next town. Think of all the money a church could make with healing powers like that! But if that’s all Jesus came to do, then the Gospel of Mark should have ended by chapter 2 or 3. Jesus is more than a great teacher, however. He’s the only one in this world who claims to be your Savior and does something about it instead of giving you a rule book to follow. So the Gospel of Mark goes on. Jesus goes on. He must go to Jerusalem. To the trial. To the spit and mockery. To the whip. To the nails. To the thorns. To your death. He goes for Namaan. He goes for the leper. He goes for you. And on the other hand, the danger is this: to think that Jesus’ death and resurrection have nothing to do with the needs of the body. As if once the cross is done and Easter is celebrated Jesus no longer cares about those with disease, needs of daily bread, the poor and those who suffer. For Jesus (and the Church), the two are related. Care for you in body and soul. These smaller miracles and the larger miracle are inseparable. Jesus’ teaching, healing, feeding thousands – it’s all pointing to the cross. In fact, the cross and the resurrection are all of those miracles rolled up into one cosmic event. Where do the lame find legs to walk? In the one who walked to Calvary for them. Where do the blind receive their sight? In the one who looked upon his creation with compassion, came down to suffer and die for all that all might see his mercy. It’s all in the cross. In Jesus. It was true for Namaan and the leper in Mark 1. Just as it’s true for you. To be touched by Jesus, and to hear His Word. It means cleansing for a leper. Forgiveness for a sinner. Life for the dead. And for you. Jesus didn’t come to put a band-aid on your sin and death. Jesus came to be our sin, to become the leper in our place, the outcast, the cursed one for each of you. He came to cover our disease, sin and death with His blood. So He took all disease, sin and death into His own body cursed on the tree, broken, despised, forsaken, crushed to death to be your healing, your life, your salvation. His will for you is to cleanse you from sin. That’s why He baptized you. That’s why He absolves you. That’s why He feeds you His Body and Blood. When Jesus touches the unclean in Baptism, something utterly remarkable happens. The unclean become clean. “I will; be clean.” Be clean Jesus says to Miriam today. And to you. Be clean in Jesus’ robe of righteousness. Be clean in Jesus’ death and resurrection. Be clean in the washing and renewal of the Holy Spirit. Be clean in this saving flood. What more can you say to that? How could you not say anything? Namaan declared the praises of YHWH: “I know now that there is no God on earth except in Israel.” And neither could the leper help himself. He had to tell someone. “Don’t tell anyone,” Jesus said. Odd, don’t you think? The man with leprosy thought so too. Still he told everyone. Who can blame him? When Jesus heals your leprosy, it’s hard to keep quiet. It’s also hard to keep quiet when Jesus forgives your sin. Jesus didn’t want that man or the people who talked to him to miss the cross. Just like he doesn’t want us to look to him or his miracles without the cross. And a Church that believes she is cleansed from sin can’t keep quiet about it. The leper couldn’t and neither should you. And in that way, you are that little Hebrew girl for all the Naamans in your life: “There is a prophet in Israel.” Here is the forgiveness of sins. Here Jesus’ touch and Word make unclean sinners clean in his death and resurrection, in the font, at the altar, by that same Word. We are nothing. Jesus is everything. He must increase. We must decrease. He is the Great Physician of body and soul. He is the friend of sinners. Your friend. Just as he was for the leper. Jesus joins him in his uncleanness and rejection. The leper cannot doubt that Jesus is for him. And we join our neighbor in uncleanness and rejection. Christ for us and us for the neighbor. For we, who have sin. We who have uncleanness. Jesus has joined you in your sin. He bears it all for you, your disease your daily needs and your death. There is no doubt that Jesus is the one to whom you pray, “If you will, you can make me clean.” He was for the leper. And Jesus is for you too. Some people do their nails while watching TV, others read the paper. I often sit around and ponder anything from the profound depths of Lutheran theology to the hazy heights of the Misty Mountains. Yes, that's right. I may not be a redneck (well, the jury's still out on that) but I am definitely a Lutheran nerd. So to all you fellow Lutheran nerds out there, the noobs, the wannabes and the white wizards, this one's for you. And if you have any contributions, by all means, join the fun. Maybe we'll even start a new internet youtube show: Are You Smarter Than A Catechumen? You ever thought of beginning your sermons with, "Pastor's Log, stardate SeriesBMark1:40-45"
You'd like to see your church council role-play the Council of Elrond, just to see someone dressed up like a dwarf (and to dust off those costumes in your closet). Upon reading the Small Catechism you conclude you must somehow now be immune to Lex Luther's plans to infiltrate the world with kryptonite. You respond to Obi Wan's "The Force be with you" with an emphatic..."And with thy spirit." You've ever considered writing the church supply company requesting that they make an incense scent entitled, "Long-Bottom Leaf." Upon hearing any pirate call out, "Hoist the colors!" You reply quickly and thoughtfully, "Which season of the church year is it?" You've ever daydreamed of replacing your board of elders with protocol droids. You vision ecumenical relations as a world where one day the Star Wars and Star Trek fans can all get along and watch sci-fi together. You wish that the creation account ended with the words: "Make it so." You've ever eaten like a hobbit at a church pot luck. You mistook the 11:00 service for elevensies and brought enough to share. You instruct your altar guild to design paraments with a Lion on them, preferably in the colors of Gryffindor, please. You can't wait to celebrate the eleventy first anniversary of your congregation. Speech! Speech! You once looked for snow once in the narthex wardrobe when you thought no one else was looking. Your pastor had black-framed glasses before Rob Bell made them trendy. Ooh wee ooh I look just like Buddy Holly! You start up a game of Quidditch at the church picnic. You think closing existing campus ministries is worse than the treason of Isengard. You've created your own strategy game, Settlers of Capernaum. You've ever compared those sticky midwest (or dry Las Vegas) summers to the fires of Mt. Doom. You accidentally sung elves and archangels during the Sanctus. 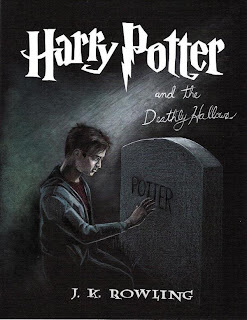 You knew exactly why (and where it came from) the quotation "The Last Enemy to be destroyed is Death" was written on the tombstone in Godric's Hollow. You planted a new church and pushed for the idea of naming it, St. Reepicheep Lutheran Church. We love church mice! You think Hermione Granger would make a great deaconess. You've ever been caught trying to see if the preschool classroom pets will talk back to you like those talking animals. You've ever wished you had Susan's horn to blow in the middle of sitting through a contemporary worship service. You instruct the ushers to invite people into the nave of the church by saying, "Further up and further in." You refer to your old Adam as your old Gollum. You refer to My Preciousss as an example of the 1st Commandment. When you'r watching Star Wars and you hear, "Luke, I am your father" the 4th Commandment comes into your mind. You think Jar Jar Binks is a manifestation of the anti-Christ. You know the Lord's Prayer in Quenya and Sindarin...oh, and Klingon. Anything that's bigger on the inside than it is on the outside (Tardis, Hermione's purse and tent; the stable in Narnia, etc.) makes you think of the manger. Yoda's famous phrase: "Do or do not; there is no try" has been quoted in a sermon or discussion about the Law. You agree that Star Wars Episodes I, II, and III are the geeky version of Melanchthon's Variata. You finally realized that Snape is one of the most Christological characters in Harry Potter. You'd love to sit down and talk Christian apologetics with Sheldon Cooper even though you totally love using his theory on gift giving for an illustration of the Law. You actually understand that myth doesn't really mean what the atheists think it means and that fairy stories point to the one great and true story. You can imagine Isaiah the prophet saying this in his best William Shatner voice: "There's something with wings...six wings!" Gandalf is a type of the true Prophet, Frodo is a type of the true Priest, and Aragorn is a type of the true King. You've ever felt like slipping on that ring of power during a Voter's Assembly Meeting. You've ever slipped up and began the Apostles' Creed by saying, "Eru Iluvatar." You end every paragraph, either spoken or written, with "This is most certainly true." Your Book of Concord has post-it notes. You've ordered and already finished reading Pastor Fisk's new book, Broken and caught at least half of his Star Wars references. You got any of these jokes and musings and found them even remotely funny. And you're already thinking of some more to add to this list. Stay Lutheran (and nerdy), my friends. There is a pernicious myth being fed to the people of the Church lately. It has been used by many church bureaucrats past and present (probably future too) to initiate, support and promote the latest trend in church-growth a-Sacramental "ministries". And most recently it has also been used to justify the sale of properties where Word and Sacrament ministry is active, thriving and faithful in exchange for a service of debt or the alleged budgetary concerns. Most recently the ULC at University of Minnesota and the ULC at UCLA have fallen prey to this myth. And this is the myth, namely, that "Today's mission planting is not connected as much to brick and mortar as it is to people, opportunity and relationships." Here's a radical idea (although not so crazy these days). If the dawn of future ministry in the church really is going to be more about relationships than brick and mortar, then our district officials should be willing immediately (not tomorrow, not in a few months, now) to sell the district offices, disband staff and take the lead in this new model of ministry. Show us how it's done. Model those relationship-building mission models without the a located presence. But that's just the problem. Mission work - the work of the Church - thrives on located-ness, being present in the lives, communities and neighborhoods of the people being served by in body and soul by the work of the Gospel and mercy. This is why, no doubt, the district leaders will tell you that their building and offices help support the work of ministry in our local congregations. How is that any less true where Church is really being Church, in the local parishes, whether they are on campus 2 miles away or in the middle of a corn field? Location, Location, Location. It's not just true for real estate. It's true for the Church as well. Just look at the founding fathers of Lutheranism in America. What was the first thing they did? Built a school, then a church and sometimes even a brewery. How's that for priorities?! Location is no less important on college campuses. In fact, I would argue that brick and mortar are absolutely vital - even more important on campus - precisely because these college students are away from their home, their families and most of all their congregation and its altar, font and pulpit. And for those who have no church home, where will they be directed to? If they run into a wandering Lutheran preacher on campus (such as the Campus Crusade style) where will they go? Somewhere at some point in time the believers must gather together. The Church is not called to be a nomad, wanderer or a vagabond - pilgrim yes, but even they built homes in the new world just as we do in the old world. As we confess in the third article of the Creed, the Holy Spirit calls, gathers and enlightens the Church. The Church needs location. God's people need to be gathered. This is something even the pagans understand, even in their false confession. Here in Huntington Beach where I live, there is a Jehovah's Witness Kingdom Hall right across the street from our Goldenwest College, a community college. The Mormons are not too far away either. Coincidence? No. 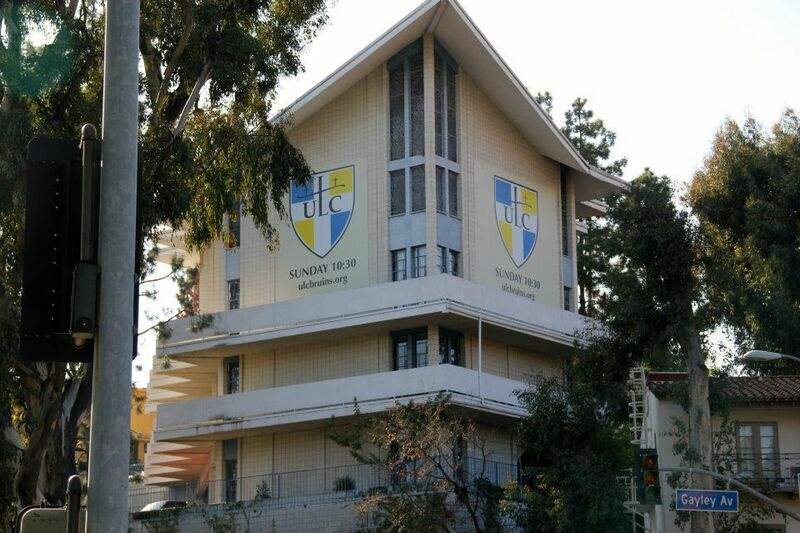 In fact, on almost every major university you can find a Newman Center (Roman Catholic) a Chabad or Hillel House (Judaism) an Islamic center, Bah'ai just to name a few. This was true on Stanford's campus where I served as vicar and it's also true where my good friend Pastor Jasa serves at UCLA. There's also another problem with this brick and mortar vs. relational ministry way of thinking. If you follow the logical conclusion, it appears to have a rather gnostic twist to it. Think about it. "Brick and mortar is the way of the past. Relationships are the way of the future." The further down that road you go, the closer you get to "spirituality" and the further away you get from the created things of God. After all, God likes matter, he invented it. Scripture makes no such bifurcation. Both are important: soul and body. Relationship and location. It is the way of gnosticism to separate soul from body, or in this case, brick and mortar from relationships. As if the body (or the brick and mortar) were not important, or in fact outdated and old fashioned when it comes to the work of the Gospel. But if you don't have flesh and blood, what kind of Gospel do you have? A Christ without a body is no Savior at all. The brick and mortar vs. relational-ministry is a false, nonsensical distinction. It's a classic case of both / and, not either / or. Our synod (LCMS) used to be wise as serpents when it came to buying properties on or near major college campuses in the United States. Sadly many of those were sold off long ago or shared with the ELCA and now have been lost. However, some remain. We may not be able to afford new buildings on or near campuses (although we certainly shouldn't give up trying). But we certainly shouldn't sell existing ones. At best it's short-sighted, at worst its a subversive attack on the Gospel. Again, Location, Location, Location. "But the Lord doesn't dwell in temples made of human hands," some will cry out. Yes, it's true the heavens can not contain the glory of the Lord, but a feeding trough once did. While it's true that God is everywhere, He's not everywhere to bless you. He locates himself for you. He did it for the children of Israel in the OT - think burning bush, tabernacle, temple - and he did in the NT - think a womb, a manger and the cross. God locates himself in human flesh. The Creator becomes a creature. The architect comes to occupy brick and mortar. He locates himself in very specific places for very specific purposes: to place his name upon his people and bless them (Exodus 20:24). David knew that it was not right for the Ark of the Lord to dwell in a tent while he rested in a home of cedar (2 Samuel 7). And Solomon built the temple by the Lord's instructions so that the name of the Lord God would dwell among the people (1 Kings 5). Location, Location, Location. The temple then points to Christ, the temple now and forever. I was glad when they said to me, "Let us go up to the house of the Lord." Location is still important, vital for the people of God. True we have no biblical command to build temples and tabernacles, but we do have the two-fold word of command and promise. Baptize. Teach. Do this in remembrance of me. Why? For the forgiveness of your sins. For the salvation of many. For you and all your children and your children's children. In the Church today, Christ locates himself as he did in the Church of the OT and NT. It's no different on a college campus. Location and presence is everything. That's where the relationships are built, flow out of and are brought back into, the presence of Christ in his Church for the world. He locates himself at the altar, font and pulpit for you. Brick and mortar on college campuses need our support. There is still time to support the ULC at MN and UCLA and all those in danger. These campus ministry facilities are irreplaceable. If they are sold and destroyed, they will never be recovered or regained. These campus ministries are more than mere land for the coffers, they are outposts of the Gospel. They stand as a clear and present witness to the faithful Christians in need of a home away from home, and a haven for the believer and unbeliever alike. Pray for our campus ministries. Write your district officials encouraging them to preserve and expand campus ministry with all due support. And don't buy into the myth. Dedicated to Paul, Bonnie and anyone else who has wrestled with Emeth as I have. May the truth of Judah's Lion be found in spite of ourselves. Following a radio interview on Issues Etc. (click here to listen) about an article I wrote for Higher Things Magazine (Joy: The Serious Business of Narnia), I received several emails inquiring about a particular scene at the end of The Last Battle. In the course of 2-3 posts (at most I hope), I will attempt to give a lengthier and more insightful answer to the question of Emeth the Calormene and his place in the Chronicles of Narnia and what implications this has for our reading and understanding of Aslan, Narnia and C.S. Lewis. Perhaps, like many others (myself included), when you stumbled upon reading this section you thought: "What is Lewis saying here? I'm confused." So, you read it and re-read it again and again. Still it makes no sense. Who is Emeth serving? Aslan or Tash? And the questions tailspin from there: "Is Lewis a universalist? Is he saying Jesus isn't the only way to heaven? But isn't Jesus the way, truth and the life? Isn't Aslan Jesus? How do I reconcile this with Scripture? Can I even read this as a Christian? Was Lewis a Christian?" And so forth and so on. I've been pondering this section since high school when I first read it. And never, until recently, have I begun to find a satisfying answer. I say, "begun," because there are some questions surrounding this portion of narrative that we will never have answered to our satisfaction. One of the biggest questions I have, by the way is, why didn't Lewis simply write this portion of the story another way? What would it be like if it had been re-written (an endeavor I hope to attempt shortly)? What if it had been left out? What would Lewis say in response to this and our questions about this portion of narrative? While we may not be able to find satisfying answers to all our questions about Emeth, this last question we can answer: what has Lewis said elsewhere that may shed light on our wrestling with Emeth? But before getting ahead of ourselves and moving on to Lewis' other writings and exploring precisely what is being said here in Aslan's conversation with Emeth, I offer my response from some of the Issues Etc. emails I received. It seems a fitting place to begin this series as it shapes the discussion and inquiry in proper perspective. Thank you for your thoughtful comments and questions. I know precisely the passage in The Last Battle to which you refer. I too have struggled with how to understand this portion of an otherwise excellently written book (and series I might add) – one that is overwhelmingly comforting and conforming to the Christian faith, with the exception of this conversation reported by Emeth between Aslan and himself. In part I have struggled to reconcile this rather confusing error with Lewis’s other clearly orthodox teachings on Scripture. Many have tried to reconcile these words apart from what Lewis meant and thereby vindicate this conversation, or at least cleverly ignore it or massage it to say something it doesn't. Reconciling Lewis’ words into something that they are not does us no better than the original grievance. Round pegs don’t fit into square holes no matter how many other round peg-holes there may be on the table. And yet many have also laid false claims upon Lewis which do not fit into this work or his others, such as the charge of universalism. We should be careful to avoid both conclusions: on the one hand to ignore clear error and on the other hand to make the wrong accusation concerning this error. And perhaps thirdly, upon seeing error simply to ignore the rest of the man's faithful teaching of Scripture. Knowing what is being said and comparing this section to others, it is quite easy to see, not only where Lewis is wrong (he is but a man and can err). But also allowing us to see, in rather startling contrast, the many great insights and profound clarity in his proclamation and defense of the Christian Gospel that Lewis otherwise provides. In other words, I’m neither suggesting you ignore Emeth nor that you ignore the rest of Lewis on account of this error. We simply wouldn’t be able to read any theologian if we threw the orthodox baby out with the erroneous bath water. 1) Put Lewis on a pedestal; in other words he can do no wrong and all the man says is good, right and salutary. 2) Brand Lewis a heretic and read nothing whatsoever of his writings etc. no matter how true and helpful a great deal of his writing may be; this example is clear false teaching which means the rest of his writing is rubbish too. 3) Read Lewis discerningly. In other words, read Lewis like any human theologian - know his strengths and weaknesses, know what he gets right (and there are a lot of things he does get right) and what he gets wrong. There are many things Lewis gets right, many insights he has into the Christian faith, but he is not Scripture and his works are not part of the Canon of the OT/NT. Like any theologian, we must test what he says in light of the clear Word of God. Was he perfect? By no means. But did he write many useful things? Absolutely. In the end, I submit to you that this third and final way is the way we should read Lewis. After all, in spite of his errors (as we pray is true for ourselves) he proclaimed Christ Crucified for a world in need of that message and did a brilliant job defending the Gospel along the way. It's no coincidence that Emeth, the name of the Calormene character in The Last Battle, comes from the Hebrew word for "truth" or "veracity". The question of truth and what is true is at the heart of this whole scenario. In part two, I'll take a more precise look at the nature of the conversation and where Lewis goes wrong and where he goes right. In addition to that, we'll address a bit about where his readers have gone wrong trying to understand Aslan's conversation with Emeth as we sort out the "what does this mean?" question. Stay tuned for part two.